Our experienced and well trained CMM programmers have over 50 years combined experience, including a thorough knowledge of GD&T (ASME Y14.5-2009). RMS Quality Services utilizes a programmable Brown & Sharpe UHA CMM with PC DMIS Software providing a Measurement Envelope of 26x42x26. RMS also utilizes non contact measuring equipment by means of Ram Optical Instrumentation (ROI) and an OGP SmartScope. RMS Quality Services is capable of performing parts and fixture measurements of all types, accuracies, complexities and resolutions. 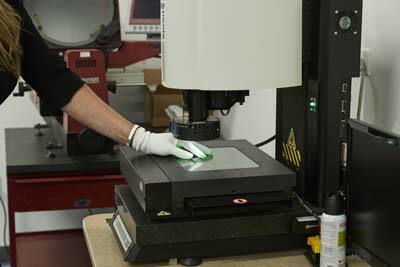 RMS also offers a full line of contract inspection and certification of production gauging, tooling and fixtures. Contract Inspection Services have become a specialty of RMS Quality Services, and we offer a vast range of quality services and experience. A certification of inspection/calibration is generated for every fixture or sample calibrated complete with pass/fail analysis and criteria.